Re: Future Space travel tehchnologies! obavezo bukmarkam,pa poslije pogledam,no baš i nemam vremena kopati puno po tjubu,ionako mi stoje filmovi i serije,da ih ne gledam.. In our search for life-harboring bodies in the solar system, the Jovian satellite of Europa may be our safest bet. While NASA previously announced a flyby mission to observe the moon from afar, the space agency now has plans to send a probe down to the surface, where life may exist in vast oceans beneath the ice. "All these worlds are yours, except Europa. Attempt no landing there." reads a cryptic message from an alien race in Arthur C. Clarke’s sequel to "2001: A Space Odyssey." As you can probably guess, that warning was pretty much ignored. A team of astronauts land on the moon’s frozen surface, only to be immediately attacked by a giant squid creature from beneath the ice. © FLICKR/ GRAY LENSMAN QX! Clarke, one of science fiction’s most fastidiously scientific writers, may not be entirely off base. While the mysterious alien message and aggressively evolved octopus may be imagined narrative devices, there’s still a reason he chose to set the tale on Europe: as far as our solar system goes, it may be the most likely candidate to host life beyond Earth. And according to a statement from NASA’s Jet Propulsion Laboratory (JPL), the space agency may soon be attempting a landing of its own. 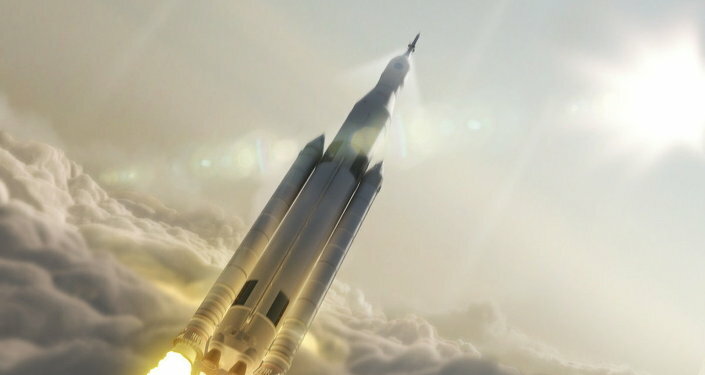 "We are actively pursuing the possibility of a lander," Robert Pappalardo, Europa project scientist with JPL, said during a conference last week, according to Space.com. "NASA has asked us to investigate: What would it take? How much would it cost? Could we put a small surface package on Europa with this mission?" A mission to Europa was previously announced by the space agency. Slated for launch sometime in the mid-2020s, NASA originally planned to survey the moon through a series of 45 flybys. Using a number of instruments, including ice-penetrating radar and high-resolution cameras, the observations would provide untold details about Europa’s surface composition and characteristics. But a lander could take even more accurate measurements. NASA has also asked the European Space Agency if it would like its own lander to be included on the flyby mission. What we already know about Europa has many researchers excited about the moon’s possibilities. Slightly smaller than our own moon, Europa is wrapped in a 50 mile-thick sheet of ice. But beneath that layer, scientists believe the planet to be covered in a massive ocean, which could contain twice as much salt water as the planet Earth. Researchers also believe that ocean to be as old as the solar system itself. An ancient, 4.5 billion-year-old ocean could theoretically provide ample time for life to evolve. 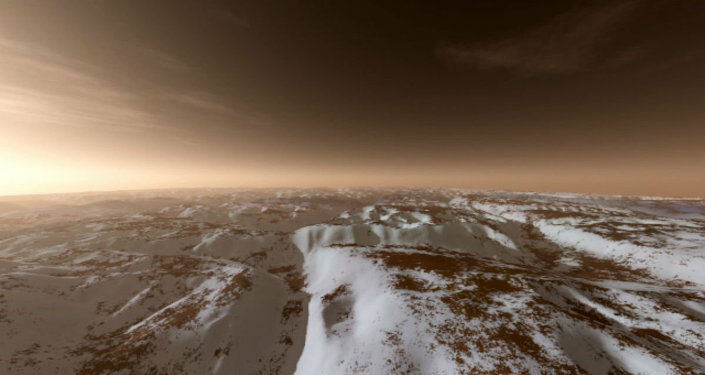 "When it comes to habitability, we’d like to have the knowledge that the potentially habitable environment has been there for a significant duration," Kevin Hand, deputy chief scientist at JPL’s Solar System Exploration Directorate, said during the same panel. Still, much about the moon’s landscape remains a mystery, and that could present extreme challenges for the possibility of a lander. While we know the icy surface contains a number of cracks, most likely caused by the waters beneath, the effect of those cracks on the topography remains unknown. "We don’t actually know what the surface of Europa looks like at the scale of this table, at the scale of a lander – if it’s smooth, if it’s incredibly rough, if it’s full of spikes," Curt Niebur, a Europa program scientist with NASA, said during a conference in June. "Without knowing what the surface even looks like, it’s difficult to design a lander that could survive." Whatever NASA decides, Pappalardo expects a decision to be made by the end of the year. It’s impossible to say what we’ll find, but if there’s a giant black monolith sticking out of the ice, can we all just agree to pack up and move on?